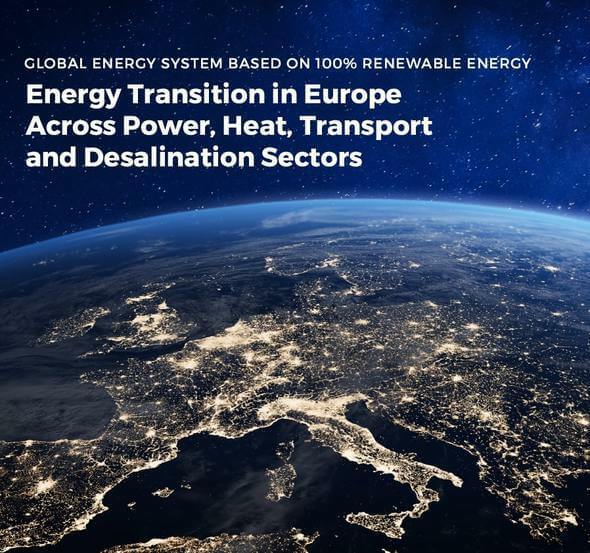 Undertaken by LUT University and Energy Watch Group, the first-of-its-kind scientific modeling study has simulated a full energy transition in Europe across the power, heat, transport, and desalination sectors by 2050 and showcases the feasibility of a European energy transition to 100% renewables. 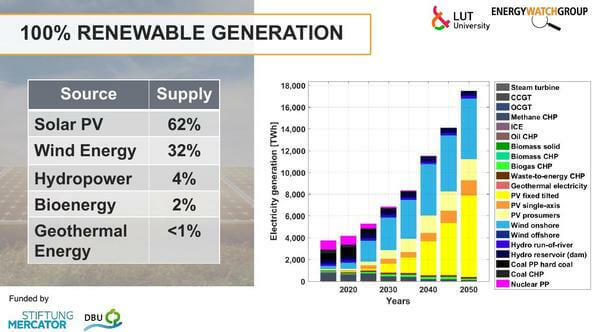 The renewable energy system will be economically competitive with today’s conventional fossil fuel and nuclear energy system, and lead greenhouse gas emissions to zero before 2050. The study’s financial case for an energy transition becomes even stronger when taking into account significant projected job growth and the indirect economic benefits for health, security, and the environment, that were not factored into the study. The study concludes with policy recommendations to promote a swift uptake of renewable energy and zero-emission technology adoption.